The government has extended the deadline for filing the GST sales return -- GSTR-1 -- which was to expire on Tuesday, for another five days till September 10, according to an official announcement. While GSTR-1 is the sales return and GSTR-2 is the purchase return, GSTR-3 is the match of GSTR-1 and GSTR-2. 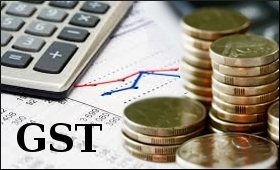 Last month, the government announced a five-day extension for filing the initial GSTR-3B retun till August 25, after the GST Network (GSTN) return filing portal was hit by a technical glitch and stopped functioning, a day ahead of the last date for fling. Traders across the country faced problems on the penultimate day due to the technical snag and could not file GST returns. August 20 was the last date for filing the GSTR-3B form , which is a summary return of details of outward supplies, inward supplies, credit and payment of GST. Last week, the government announced it has comfortably met the collection targets for the first month of GST implementation in July. Finance Minister Arun Jaitley said that Rs 92,283 crore of tax had come in by August 29 with 38.38 lakh assessees, or only 64 per cent of those registered, having filed their GST returns. The total number of those registered under GST who should be filing returns is 59.57 lakh.